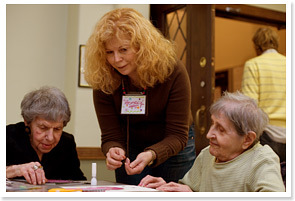 Being involved in our “Partners in Care” program provides more than just a job. It’s an opportunity for students to explore career opportunities, become more accustomed to a work environment and routine, and interact with people of other generations, cultures and backgrounds. 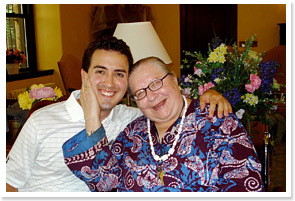 The Home also provides an opportunity for disabled young adults from the community to work at the residence. 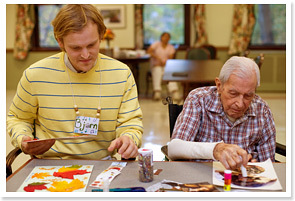 Participants work under the supervision of one of the residence’s directors, and their own teachers, who ensure that they are performing meaningful tasks at the Home, as well as developing important social skills. 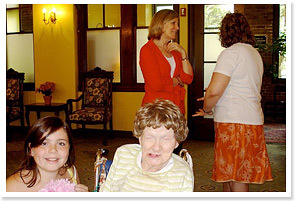 Manhattan College students, under the supervision of a professor, attend frequent intergenerational activities offered to the residents. Nursing students from the College of Mount Saint Vincent, under the supervision of a professor, regularly team with our staff to provide care for residents, and gain invaluable geriatric experience. The Home is also a clinical campus for teaching that hosts daily rotations for the medical students of the Columbia University College of Physicians and Surgeons. In compliance with New York State Department of Health regulations, and as a service to our local community, the Methodist Church Home accepts household sharps for safe disposal. Sharps are accepted only on Fridays, excluding holidays, between the hours of 9:00 am to 3:00 pm in the Home’s main lobby. What are household sharps? 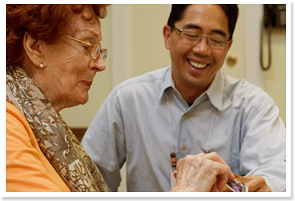 Millions of people use needles, syringes, and lancets at home to care for their health. Such medical supplies fall into the category of household sharps. Sharps are placed in a tightly secured container with a screw-top lid. Containers are clean and labeled with your name,address and telephone number. Learn more about appropriate disposal of household sharps at the New York State Department of Health Website.